The start of the degree program in summer term is exclusively reserved for advanced students. information: For the summer term 2019, the degree course is restricted to admission. The degree program starts for freshmen generally in winter term. Under the condition of consent of the Examination Committee it is possible also to enroll for summer term but this may cause a prolongation of standard duration of studies. The start of the degree program in an advanced semester is possible under the condition of presentation of a proof of higher semester assessment test. The degree program can be studied in German or English as language of tuition. Part-time-studies possible (standard duration of studies: 8 terms) In case of professional or particular familiar obligations, this degree program may also be studied in part-time. Within part-time studies, the average workload per term amounts 50% of that of full-time-studies. The weekly working time should amount 18 hours at least. The language of tuition is predominantly English. Proof of Latin language proficiency until the 2nd term. Proof of Latin language proficiency until the 3rd term. Part-time-studies possible (standard duration of studies: 12 terms) – In case of professional or particular familiar obligations, this degree program may also be studied in part-time. Within part-time studies, the average workload per term amounts 50% of that of full-time-studies. The weekly working time should amount 18 hours at least. The application for admission includes a sports aptitude test. 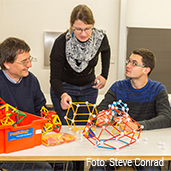 Degree program offered in cooperation with the University of Applied Sciences Zwickau: the 1st term is taught at Zwickau; the term starts on 01.09. for winter term and on 01.03. for summer term.